Starting hand values tend to run pretty close together in Omaha, and this leads many to the erroneous conclusion that it’s just a luck-fest. It’s good for the poker ecosystem that some people feel this way, but if you count yourself among their number, then you’re doing yourself a disservice. Preflop equities only matter before the flop, and postflop play is what separates the winners from the chumps at the Omaha tables. To start raking in the chips, you must be aware of how to read your hand, the importance of big draws, how to avoid getting freerolled, the profitability of nut draws and other deep considerations. The articles in this section cover all of these topics and more, so they’ll serve as an excellent primer to the inner workings of this sometimes-confusing game. If you’re a Hold’em enthusiast, then it’s about time you dabbled in the “dark side” so that you can participate in juicy PLO games. While value-betting is important in PLO, it’s also important to have bluffs in your ranges. Semi-bluffs have incredible value because many drawing hands are tied with or even ahead of decent made hands. Holding blockers to the nuts can really help your bluffs succeed. There’s a lot of money to be made in Pot Limit Omaha, but if you’re a No Limit Hold’em player, then you’re likely making big mistakes. Read on to find out how to properly evaluate starting hands, estimate the value of drawing hands and control the size of the pot. Pot Limit Omaha is an exciting, action-filled game that anyone can play. But you need to be mindful of the differences between PLO and Texas Hold’em. For starters, you must use exactly two cards from your hand and exactly three from the board. Omaha High-Low is one of those rare poker games that appeals to people that like to gamble it up as well as to nits who don’t like to play many hands. Good players have a substantial advantage over either category of opponents as long they remember to draw to the nuts. 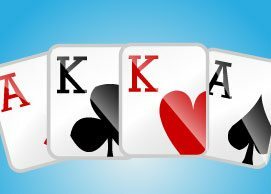 When playing Omaha Hi-Lo, it’s important to play starting hands that play well for both the hi and lo halves of the pot. Sometimes, hi-only hands have value too. While learning to compare low hands can be tricky at first, we’ll go over a few examples to make everything clear. Even if you’ve never played anything but Texas Hold’em, there are universal poker principles that will make it easy for you to learn how to play other variants of the game before you master them. Your position, seat selection and bankroll management are critical when you are picking up a new game. There are a few superficial similarities between No Limit Texas Hold’em and Pot Limit Omaha. The names of the streets and the rounds of betting are identical. There are important differences as well, not least of which is the fact that there are four hole cards in PLO. As No Limit Hold’em continues to become tougher to beat, many players are turning to other games instead. In this article, we’ll go over the rules and outline simple strategies to help get you started in non-Hold’em poker games. Pot Limit Omaha has become the most popular “other” game. PLO is growing in popularity because it affords recreational players the chance to gamble, and it gives skilled players a pretty large edge. Keep reading to find out the best starting hands and learn the effects that the pot-limit betting structure has. Limit Omaha Hi/Lo has become popular due to its prevalence not only at dedicated Omaha Hi/Lo tables, but also in mixed games like HORSE. Half the pot is awarded at showdown to the high hand, and half is awarded to the best qualifying low hand.